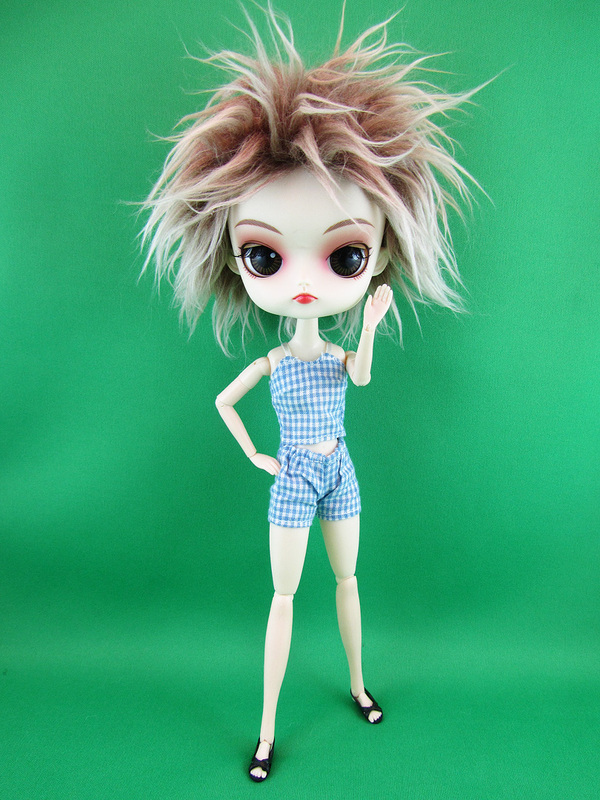 Dal is part of the Pullip fashion doll line. Her name means 'moon' in Korean. 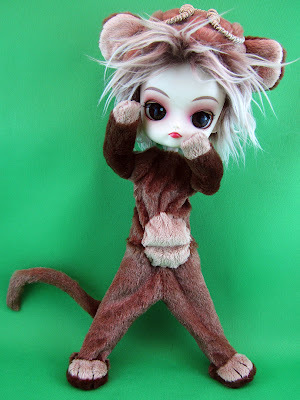 She's suppose to be the 13-year-old younger sister of Taeyang, Pullip's boyfriend. She's about the size of Blythe, whose body size matches that of Licca, whose height is about the rough estimate of Skipper from Mattel. She has eyes that move side to side but they don't close like Pullip's. 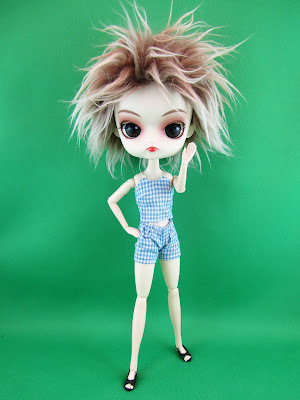 In my doll collection she's simply Dalkin. Dal was too plain of a name so I added 'kin' because I thought it sounded cute. But if we must get technical, 'kin' means gold in Japanese so in essence her name, to me, means 'golden moon' in a mix of Japanese and Korean. She's my first and only Dal at the moment. I say 'at the moment' because you just never know what the future holds. Dalkin's attire is inspired by the Monkey King from the classic Chinese novel, "Journey to the West" with accessories including the nimbus cloud and golden rod. There's something about big-headed dolls and animal outfits that make them look so adorable! I was even more delighted to find out that underneath the monkey suit she has undergarments. If she was a Mattel doll she would have been naked underneath the suit for sure. 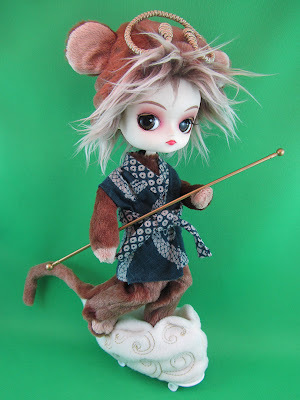 What makes Dalkin so special is that she was another gift from my aunt Wendelle in Japan. She found her at one of those 24Hour recycle shops we went to that carried an abundance of anime figures and toys. What makes her even more special is that she discovered her in the 100yen bin....That's right! She bought her for about a dollar! She didn't come in her own box but rather a used doll display case. Her outfit is complete. She even had her original Dal doll stand. She is in excellent condition. The only downside is the two light scuff marks in between her brows, which are barely noticeable in pictures. I really didn't mind them. They added to her rocker-chick kind of persona with that funky hair and devil-may-care pout. And seriously, for 100yen, who could complain? Greatest doll find ever! Try using a tiny piece of a Mr. Clean Magic eraser to remove the smudges/dirt on her brow!